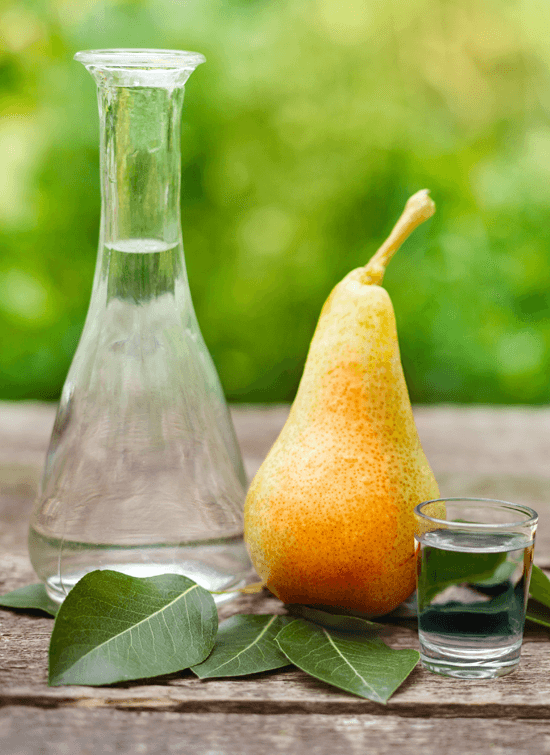 August is the month when everyone’s favorite variety of pear reaches its maturity and is ready to be harvested. Recognized for its distinctive golden color and praised for its sweet as honey taste, Williams pears are used in a variety of ways in the food industry. One of the ways they are used is in the production of a fine rakija brandy called Viljamovka. After a careful and very patient process of fermenting and distilling the fruit mash, we receive a unique hard liquor of a sophisticated taste and very aromatic smell. Premium brands of Viljamovka are among the most sought out types of rakija because they lack the burning effect on your throat and leave a subtle aftertaste. The distinctive and pleasant smell that is present thanks to the main ingredient used in producing this fine brandy is what separates Viljamovka from other types of hard liquor and what makes it one of the favorite drinks we serve to our guests. 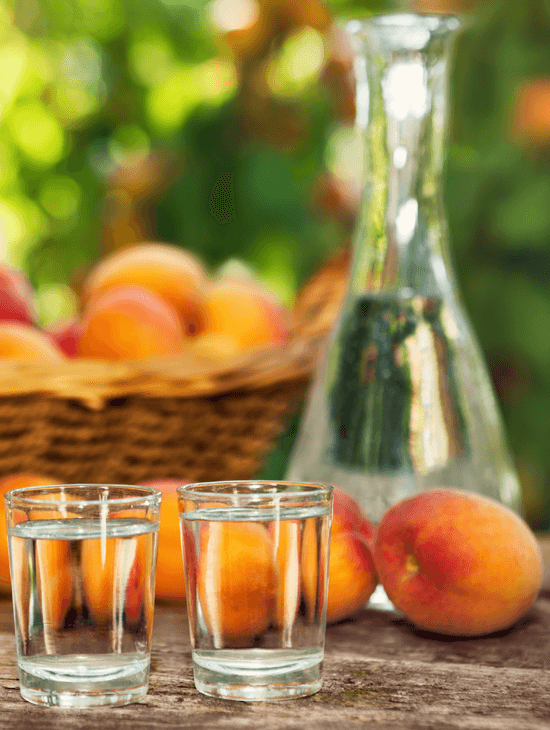 Depending on the geographical origin, many varieties of apricot can be used to produce everyone’s favorite fruit brandy, better known as Kajsijevaca, but one stands out and yields the most favorable taste. This type of apricot is recognized as being one of the best in the world and is mostly grown in regions located in Serbia and their next-door neighbor Hungary. After a long process of fermentation, the fruit distillate needs to be stored and aged before being ready to be bottled. The process of aging apricot brandy results in a mature hard liquor with a more polished taste accompanied by a sweet scent. 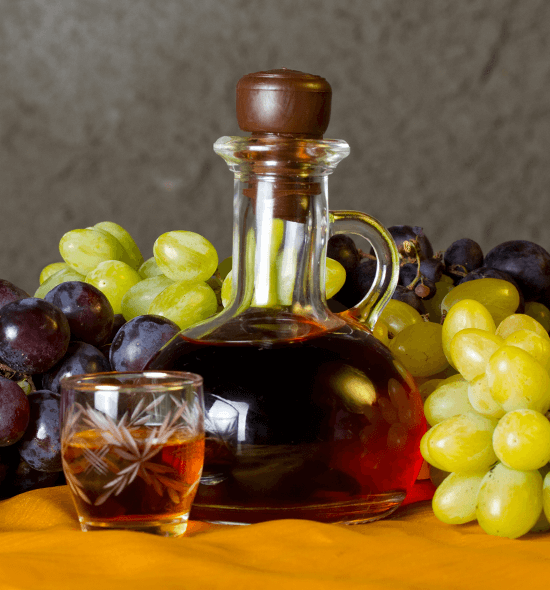 Most rakija enthusiasts will tell you that Kajsijevaca is their favorite appetizer drink and that they cannot start a meal without having a sip of it first. This is a drink that is meant to be enjoyed in a social environment while surrounded by friends and family. Making good Dunjevaca is all about timing. Experienced producers of this fine brandy know exactly how important it is to leave the fruit on the trees until it is ripe and ready to be hand-picked just before it falls to the ground. This way they allow enough time for the quince fruit to mature and form its natural minerals and sugars. After being processed in the cauldron, the fruit distillate is stored in wooden oak barrels, which add some flavor and give the drink its characteristic yellow tint. Dunjevaca is most definitely a hard liquor and usually has an alcohol content higher than other types of Rakija, but it is also one of the most popular types of this drink among consumers. It is often served as an appetizer drink with a tasty selection of traditional Serbian small dishes, but it is not uncommon for two friends to sit down and share a bottle in a friendly and cheerful way. If you’ve ever heard of Rakija before, you probably know about Plum brandy, also called Sljivovica. 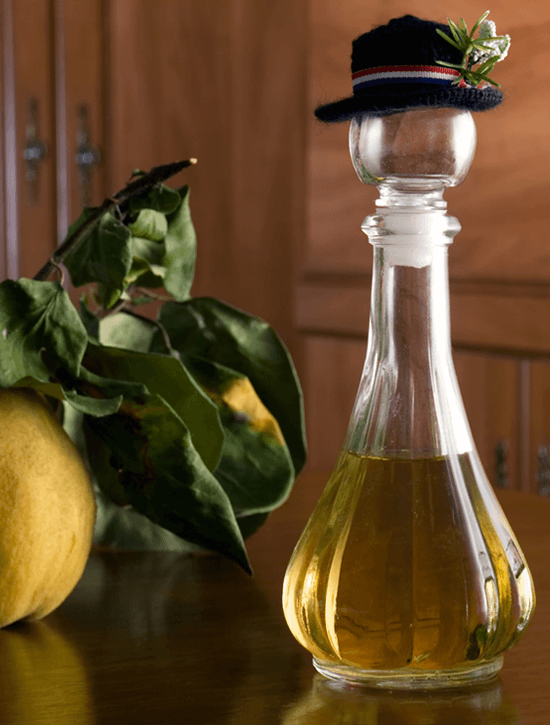 Hailing directly from Serbia, Sljivovica is declared as the national drink and has been rewarded and recognized by multiple food-related institutions. It is also a protected brand of Serbia and can only be labeled Sljivovica if it has been imported from the country of its origin. One word that best describes this drink is tradition, and while new techniques have been implemented, the creation process is the same as it was centuries ago. 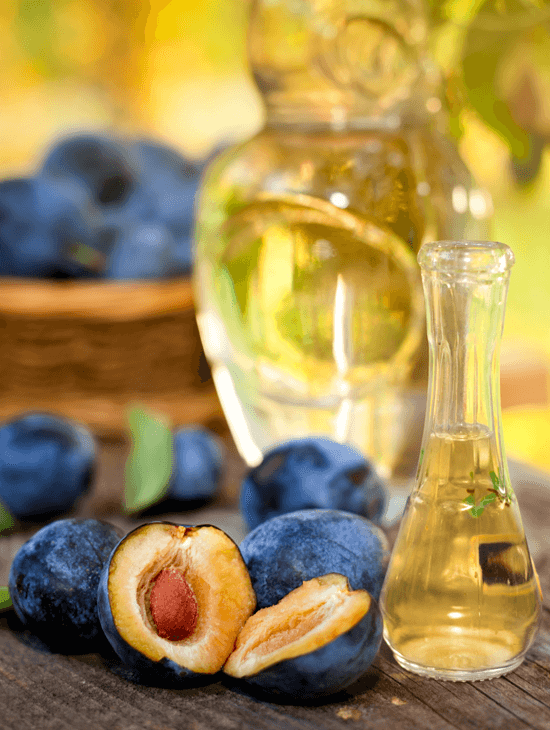 One variety of plum that is grown in the Balkans has shown to have the best attributes for creating this drink, hence why it is so popular in that part of the world. Plum brandy is characterized by a yellow color, almost caramel-like taste, and a very strong but aromatic smell. If you’ve never tried this sweet liquor, you might be caught off guard by how strong it is, but it is guaranteed that you will enjoy its aftertaste. When it comes to Aged Grape Brandy, three words come to mind. Patience, knowledge, and time. Without these three key factors, we wouldn’t be able to enjoy this amazing liquor. After fermenting and distilling the wine made out of five-star quality grapes, the brandy is stored for a long period of time in wooden oak barrels in order to give it time to achieve its prime. The aging process can last for years, but it’s the main factor that contributes to the premium quality of the brandy. The final result is a drink that has a very sophisticated and fruity taste, with hints of spices combined with woody notes influenced by the oak barrels it has been stored in. When drinking Aged Grape Brandy, you want to take your time, smell it first and then savor in every sip you take.